The squadron was established with a mission of all-weather attack, including special (nuclear) weapons delivery. VA-16, while deployed to the Mediterranean aboard Lake Champlain (CVA 39), operated off the coast of Lebanon during the Jordanian crisis. VA-16 conducted the first air-to-air refueling by an operational AD Skyraider squadron using the “buddy store.” The refueling took place over NAS Oceana and the squadron’s AD-6 refueled an F9F-8. 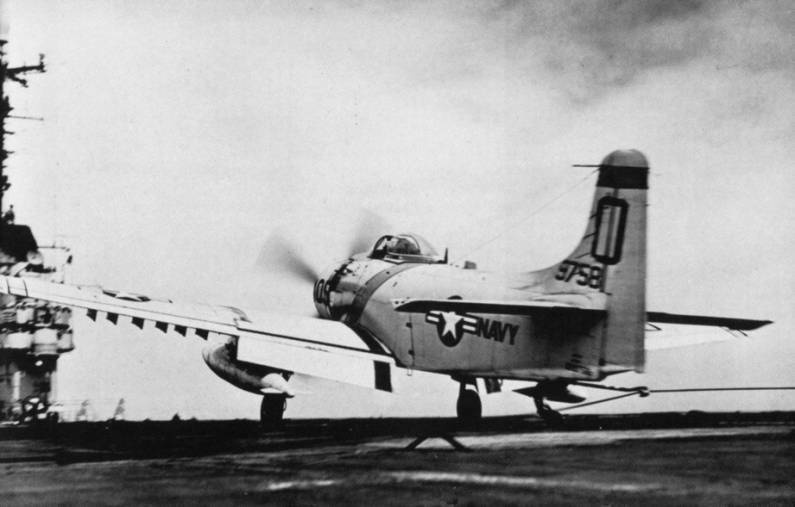 The squadron conducted the first carrier- based AD Skyraider in-flight refueling while operating from Ranger (CVA 61). VA-16’s insignia was approved by CNO on 24 July 1956. The squadron’s design centered around a black knight symbolizing valor and dedication to duty. The background was divided into two fields of gold and gray to signify vigilance both day and night. A blue border surrounded the insignia. 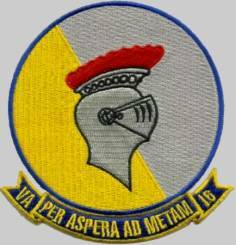 VA-16’s motto was “Per Aspera Ad Metam” (through adversities to the target).